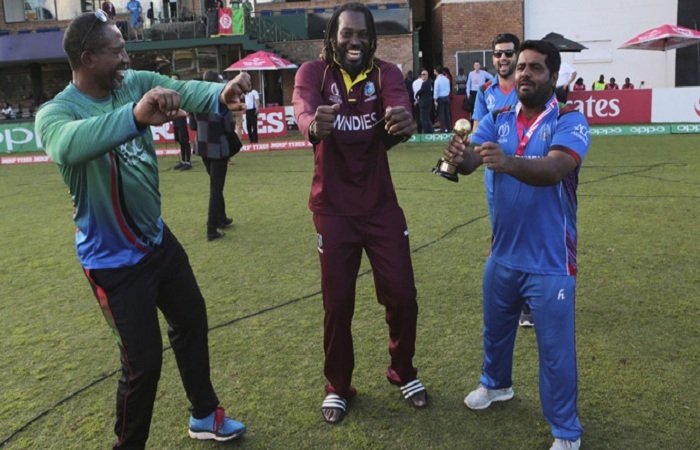 March 27 (CRICKETNMORE) - West Indies cricketer Chris Gayle and Afghanistan cricketer Mohammed Shahzad found dancing together after the final match of World Cup qualifier on the ground. As the World cup qualifiers have been ended and West Indies along with Afghanistan have qualified for 2019 World Cup. West Indies although lost their last match of World cup qualifier match against Afghanistan by 7 wickets.